Joyce Wycoff Connecting through Art: How Much Do You Love Color? Do you think Ruskin is right? Tell us how much you love color ... or share your favorite color quote. 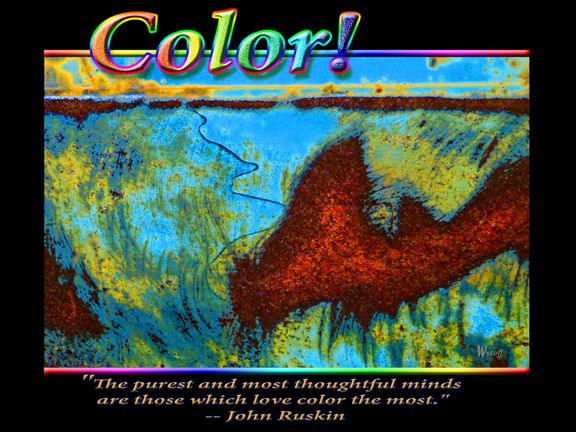 I like his saying,, color to me is inspirational, thought provoking, exciting, fun, stimulating, and mood altering. Enjoy your day, color it cooler than it is out side here in the mountains. I am thinking cool cool blue of a spring with water!